The 2015 KTM 6 Days EXC for this year has an Argentinian themed graphic as that is where this years ISDE race will be held. The light blue used in the Argentinia flag was a little tricky to work with, so we added a darker blue gradient over it in places to make it a bit bolder. 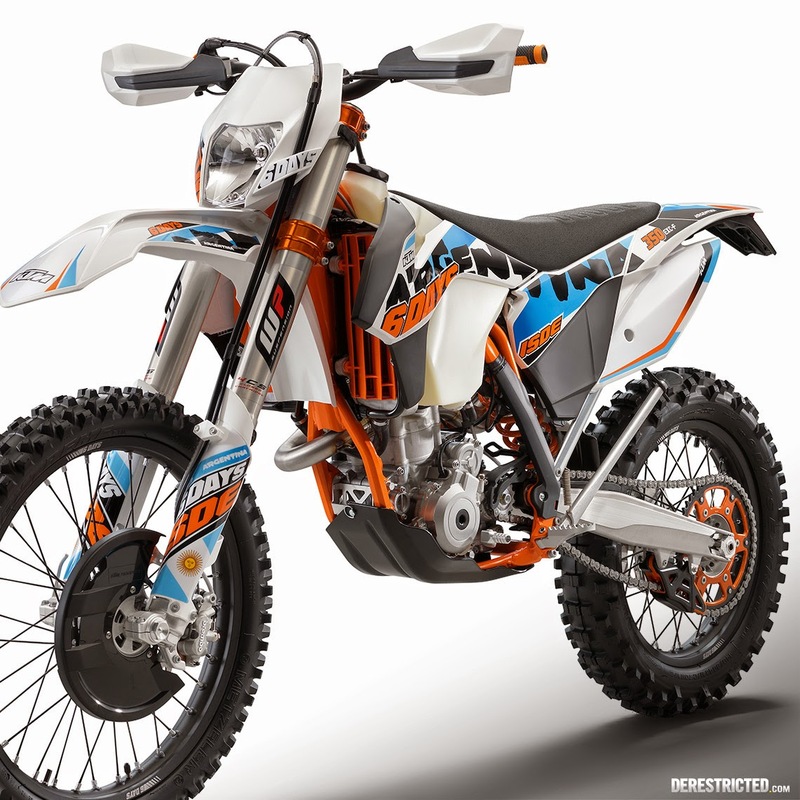 KTM 250 EXC 6 Days is characterized by first-class style, unique ability and handling for off-road terrain, and every year gets better and better performance and that is none other than the KTM 250 EXC Six Days. 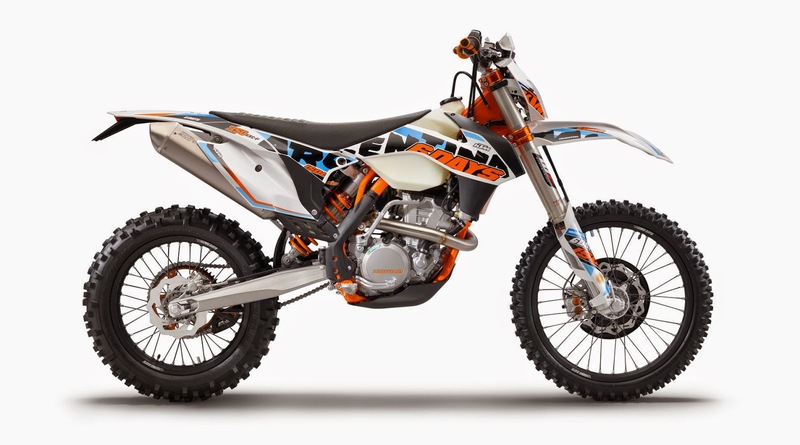 The 2015 KTM 250 EXC Six Days can be proud of key features like a modern frame, high strength, chrome-molybdenum steel section tubes, high quality alloy wheels, Brembo high-tech brakes, slim ergonomics that allows plenty of room for the driver, Neken handlebar made from high-strength aluminum alloy, individual suspension settings, optimized engine that provides excellent ability.